ST. PETERSBURG, FL—The Tampa Bay Rays have signed third baseman Richie Shaffer, their first round selection from the 2012 Major League Baseball First-Year Player Draft and the No. 25 pick overall. He will report to Short-Season A Hudson Valley. Shaffer, 21, was ranked by Baseball America as the No. 21 overall prospect in the draft, No. 2 third baseman, No. 1 out of the state of South Carolina and No. 13 among college juniors. As a junior at Clemson University this season, he finished with a .336 batting average (78-for-232), 10 home runs, 46 RBI, 63 walks, a .573 slugging percentage and a .480 on-base percentage. He ranked 11th in the ACC in batting average, fifth in slugging percentage, tied for first in walks, third in on-base percentage and tied for seventh in home runs. He becomes the 15th first-round draft pick out of Clemson and the first ever taken by the Rays. He played predominantly first base during his first two years at Clemson (2010-11) before moving to third base for the 2012 season. He was the first in Tigers history to be named First-Team All-ACC at two different infield positions during his career. In 2011, he was named Second Team All-Atlantic Region by the American Baseball Coaches Association and a First Team All-ACC selection. The Flemington, N.J., native becomes the eighth New Jersey-born player drafted by the Rays. He was previously drafted in the 25th round (No. 757 overall) by the Los Angeles Dodgers in 2009. The three-time AllState selection at Providence Senior High School (N.C.) was named an AFLAC All-American as a junior in 2008 and played for the USA National team in 2007. 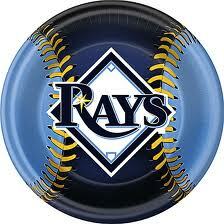 The Rays have signed 37 of their 40 picks from this year’s First-Year Player Draft including the top 28. A very nice surprise we signed Chris Kirsch, the projectable LHP! Is there a site that shows the % of players signed by the club that drafted them? I would think that 37 out of 40 players signed would rank up there as one of the best drafts in terms of players signed, but I am curious how other teams did. Not that I know of. I think you would have to go through each team on MLB.com or BA and add it up yourself. Agree though, 37/40 would have to be tops, certainly is in Rays history. I was thinking the same thing. It would be a neat little piece of trivia. I just hope that these guys stick around a while. Looks like some really good talent in this draft. I really like Rickard and Floro. Floro has nasty stuff, velo is not off the charts but movement is ridiculous! Slider a little flat but change is very good...they should move Floethe, Carpenter and Gomez up to Charlotte and bring Floro and a couple of other college pitchers up to BG. Rays have got to start gettinjg rid of dead weight if they are going to keep adding more prospects...Lara needs to start producing in Charlotte.